Timber Framing has been around, in some form or another, for over 2,000 years. 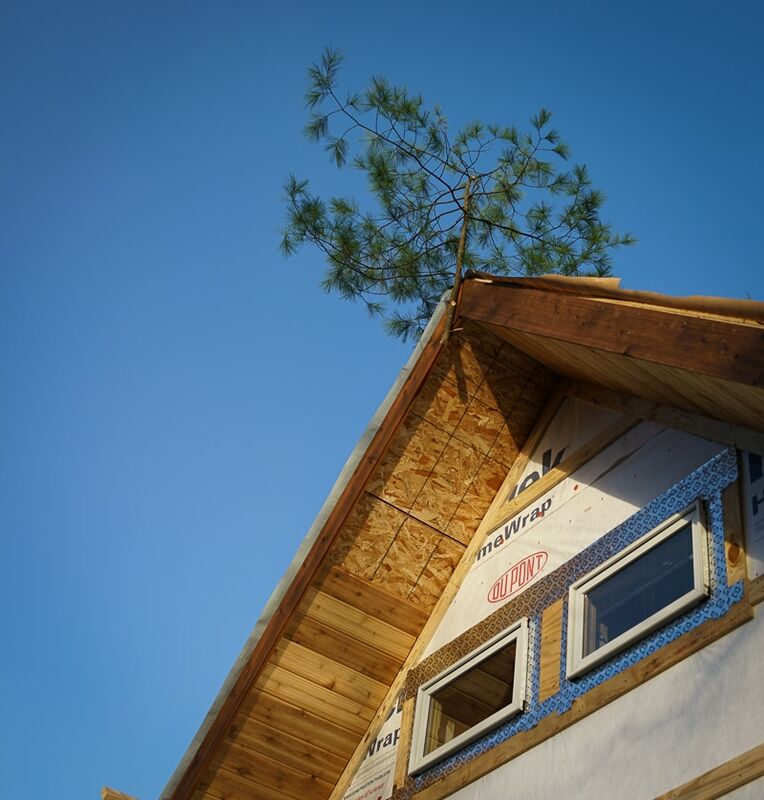 So it stands to reason, some interesting timber framing traditions and customs have sprung up in connection with the design and construction of timber frame structures. We thought, in this season of tradition and home, we’d share some of the more inspired stories. The ritual serves two purposes. One pays homage to all the trees that went into the construction of the house, and to the many hands that built it. The other symbolizes the establishment of the house’s roots, which will nourish a long and prosperous life. The young tree is called a “wetting bush”, likely derived from the German tradition of watering it as a sign of the home’s first nourishment. 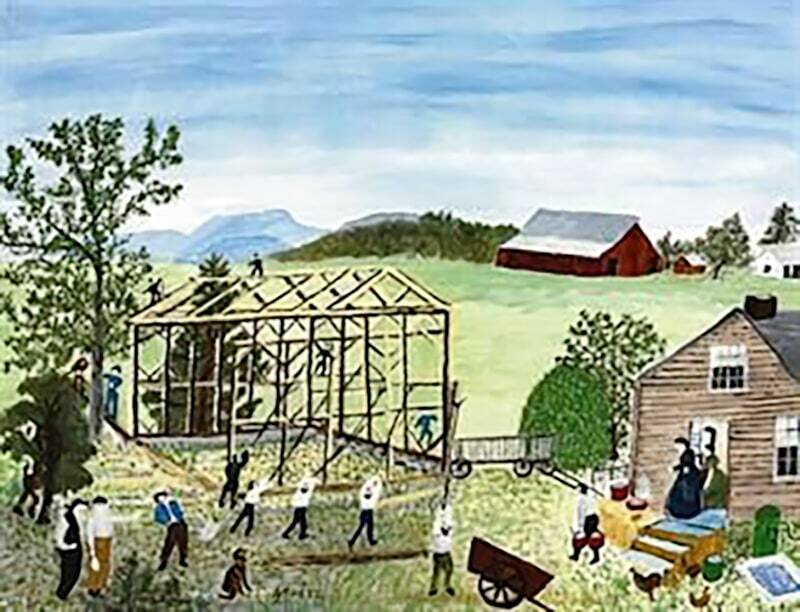 Of course, this might refer to a home, an outbuilding, or even a post and beam shed, but Barn Raising evokes an image familiar to most of us–a community coming together to accomplish something big. In the “olden days” the individual timbers for a house or barn would be cut and fitted by just a few men or a family. 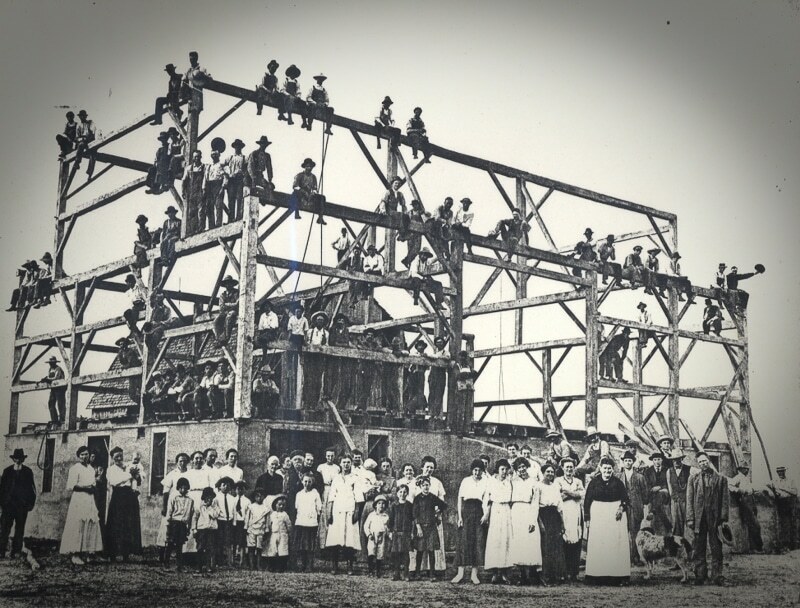 When all the individual walls were ready, the whole community would come together to raise the walls into position and set the rafters and ridge beam in place. This would be done using gin poles, ropes and pulleys, and of course, strong men. Although hard physical labor was required, “many hands make light work”, and the day ended with a celebration and party. The wives and children participated and a feast was held. There’s a real nostalgia in the thought of honest labor and participation in a feat that none of the individuals could have accomplished alone. 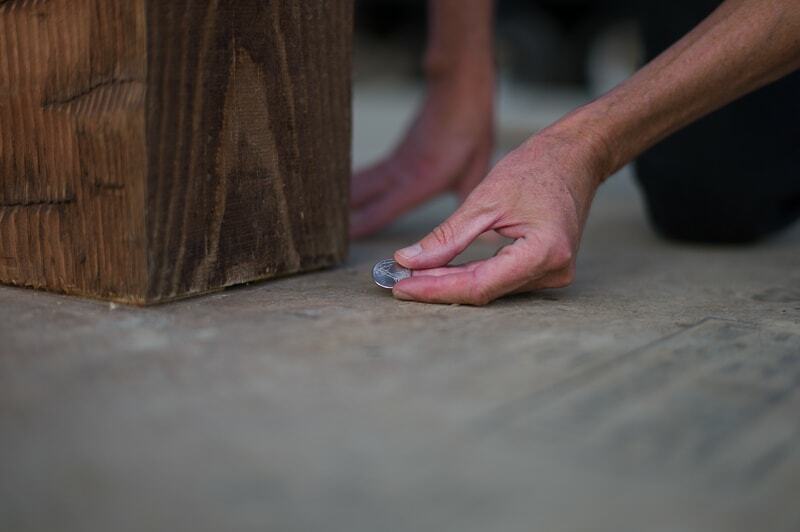 This doesn’t happen when the sheetrock goes up…but once the last timber is raised and pegged, the moment is documented with a photograph. Why? Perhaps because timber framers often feel that the timber frame will never be more beautiful than at that moment (before it is covered by walls and a roof), perhaps because all present sense that this structure will outlast every one in the picture. Eating Lunch from Carolina Timberworks on Vimeo. Think of this as a very abbreviated time capsule! A coin minted the same year as the structure is built is placed under a post, where it (presumably) will not be found until the building is dismantled (and hopefully the timber frame reclaimed). 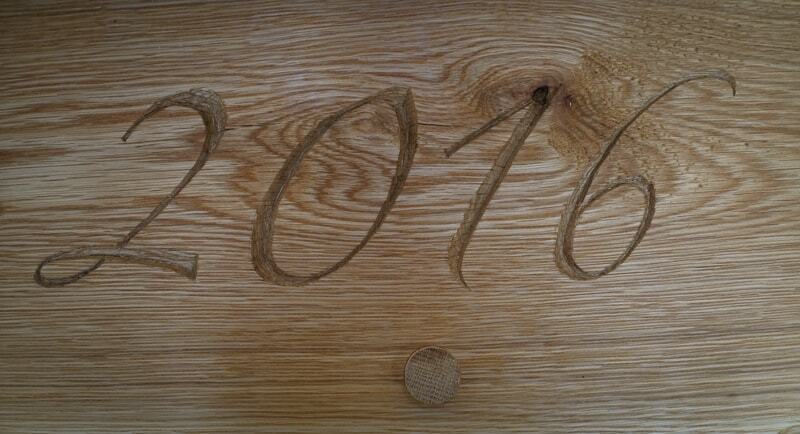 The date of completion is carved into the frame. This may be done in a visible and conspicuous place, such as over a doorway, but it might also be done in a less obvious spot. For example, some timber frame companies carve the date in the location on the frame closest to where the home shop is located. In our case, the date would be carved on the side of the building closest to Boone, North Carolina. 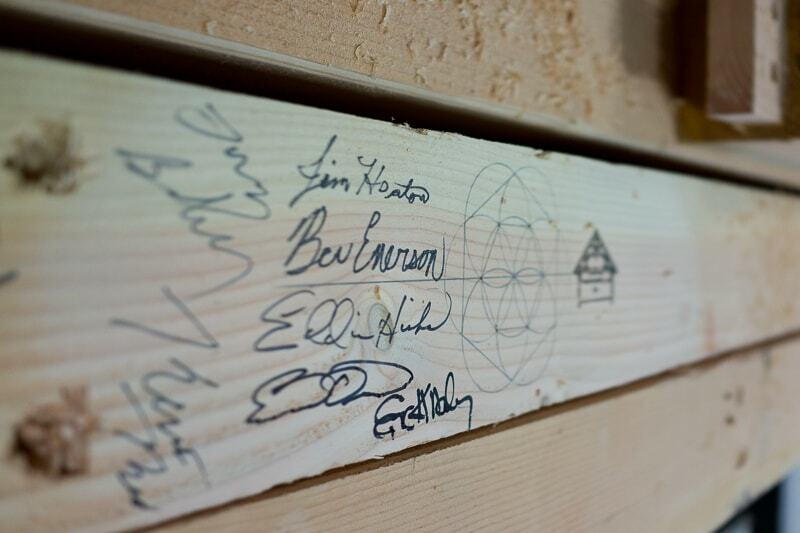 All the timber frame craftsmen (and craftswomen) who worked on the frame sign one of the timbers in a hidden place where it may lie undiscovered for a century or more.